The Tobacco Field store has been proudly serving the New Castle, Chester and Delaware County area for over 8 years. We take pride in our establishment’s approach to our customers’ needs and wants for tobacco and cigar related products. Our huge selection of premium quality cigars and tobacco products are unparalleled within the tri-county area. That includes humidors, pipes & pipe tobacco, and discount cigarettes. Thank you for visiting our site and do not forget to register for upcoming events and news. And do visit us often for special offers! Of course we carry snuff, lighters, chewing tobacco, Hookah, roll-your-own items and so much more! Visit, call, or email us with any questions. 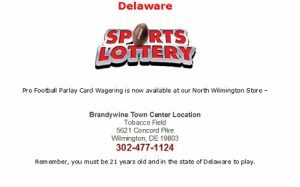 In addition we have Delaware Sports Lottery and the 2016 Football preseason already started. © Tobacco Field - cigars, discount cigarettes, pipes - Wilmington & New Castle, Delaware. Tobacco products & cigar smoking events.